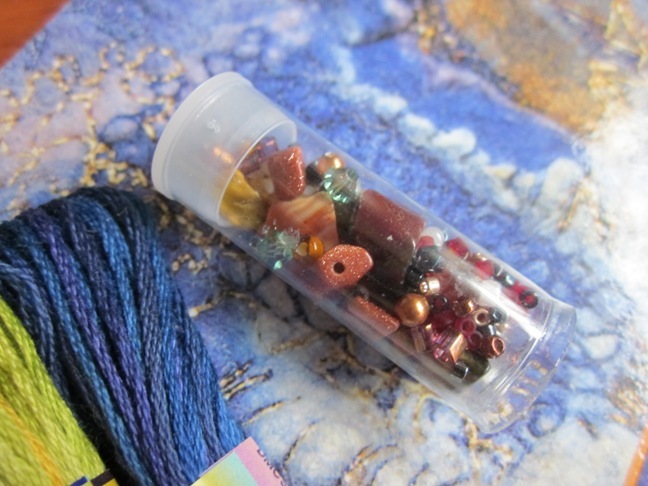 Adventures in Stitching: Blog-o-versary GIVEAWAY! So as of today, March 1, this blog is six months old! Oh the time flies. 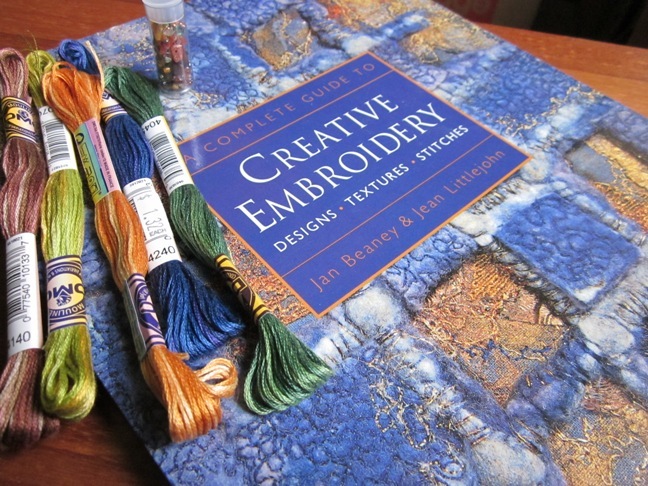 A couple weeks ago rooting through my books I realized I have two copies of A Complete Guide to Creative Embroidery: Designs * Textures * Stitches by Jan Beaney & Jean Littlejohn. I guess I liked it so much I bought it twice. This is a great book, filled with inspiring photographs and unique techniques. I will say, this is not a "project book" and if you are looking for a book of specific patterns, this is not the book you want. However, if you are interested in learning how to approach designing your own creative embroideries, and get some ideas for techniques you might try in addition to hand embroidery, this is a fantastic choice. It is really two books in one. The first, "Design to Embroider" includes chapters on 'learning to look' and 'exploring ideas', which I found really valuable. The second, "Stitched Images" includes chapters on techniques that can really enhance hand embroidery, including applique and paint, and my favorite chapter, 'stitch themes' which talks about incorporating various techniques to achieve different effects. So this giveaway is open to any readers who have a hankering to try your own stitchy experiments and give creative, freestyle embroidery a try. I will by no means call myself an expert on this stuff, but education and reading books like this one really took away the fear for me and helped me realize "it's just thread" and there is no reason I can't try to make my own art in this medium. How to enter? Just leave a comment to this post. I'll announce the winner in a week, March 7, so come back here then to see who's name was pulled out of the hat. Feel free to publicize this giveaway on your own blog or forum-of-choice, and just for fun, name your favorite color in the comment. Green! UPDATE: A winner was picked on monday. Thanks to all who entered! love the giveaway and of course would love to win. Congratulations on your Blogoversary! I'd LOVE if you'd include me in your giveaway. I'm currently trying my hand at freestyle embroidery so the book would be a real help. The floss and beads are gorgeous too! I'd love to be added to the drawing. Happy blogoversay - please enter me into your draw! I am discovering your blog (by way of the HDF forum!) - happy anniversary! 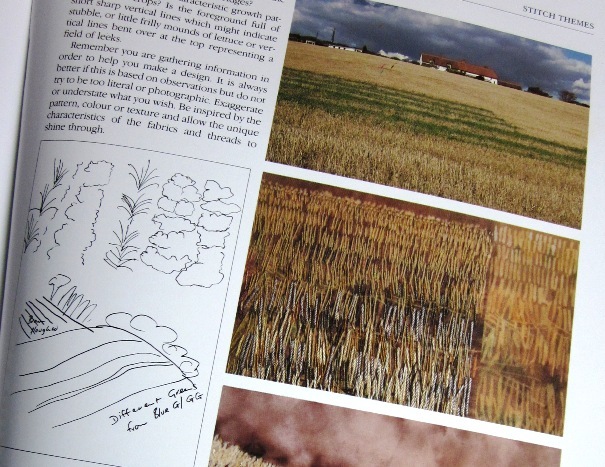 This book looks wonderful - I am always curious about the creative process, so would be happy to have a look at it! Happy Blogerversery (I think that has too many "er"s)! It's been a pleasure reading it. :) Love your free-style embroidery and I, too, would like a chance to try my hand out at it. So enter me in the drawing of your so generous give-a-way! :) Thanks! I like pinks, blues, and purples, but greens are spiffy too. I'm an all-over kinna gal. :) Hugs to you, Jess! This book looks really cool, if I don't win it I'll be checking it out at the library. 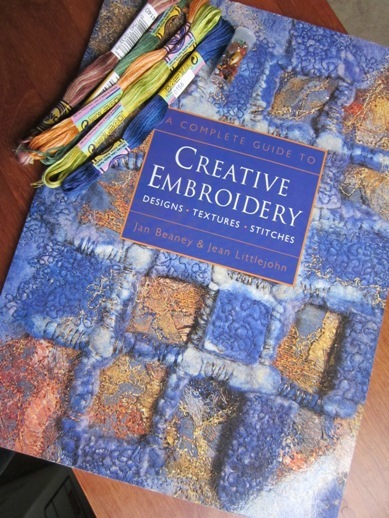 Great embroidery book! I'd love to learn how- please put me in your hat! Thanks! Fave color of the moment, gray (highly underrated). I've been dipping my toe into embroidery and that sounds like a good book. Please add my name to the hat.